Home » Who Are The Top Student Loan Debt Experts? 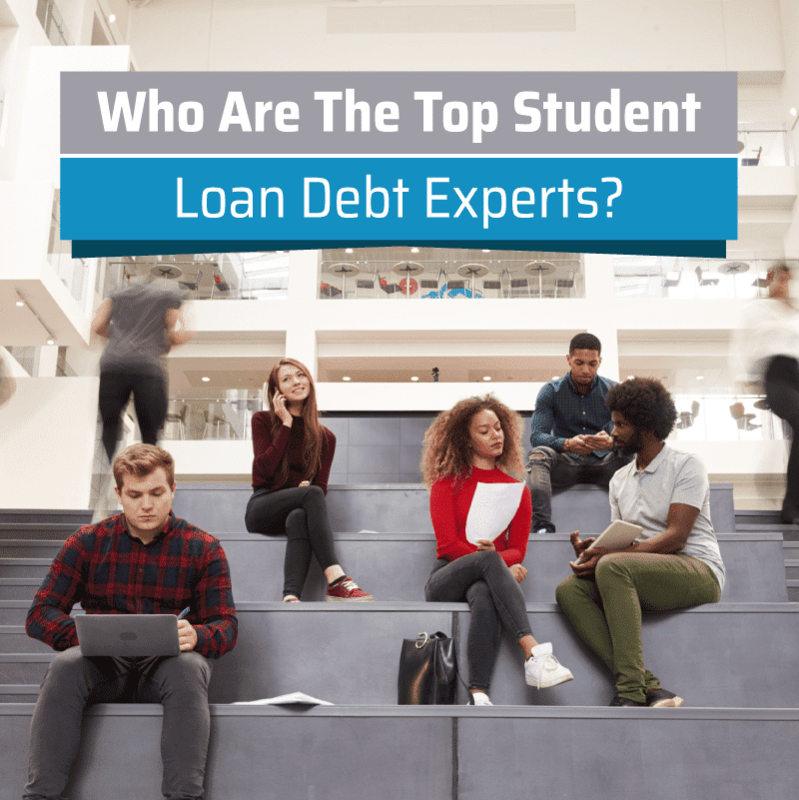 Who Are The Top Student Loan Debt Experts? Here at The College Investor we strive to cover a number of topics that college students (and their parents) stay out of debt and build up their personal wealth. However, as much ground as we cover, we know we can never really do it all. There are a lot of great people out there talking about the same stuff as well. In the area of student loan debt, more education is never a bad thing, especially for experts. While there are many personal finance blogs/resources out there, the 10 expert student loan debt resources presented in today’s post will help you immensely when it comes to understanding your student loans and more importantly, will provide you with the tools to conquer them so you can live your best life. The Federal Student Aid website is a resource that is put out by the United States Department of Education. There is extensive information on student loans right from when you are beginning to think of college through to when you are done with school and need to pay the loans back. Detailed information on filling out your FAFSA, which types of aid you qualify for and which types of federally-backed repayment programs you qualify for are outlined here as well. It can be a bit of a boring read if you are especially used to reading personal-style blogs but the information here could set you up with education you absolutely need to know before you take any type of student loan out. Check them out at StudentLoans.gov. Even their suggests that following their online content will help you become a hero who crushes loans. Student Loan Hero has calculators, quizzes and tools that will help you figure out your monthly payments to help you get out of debt faster and advice on where and how to get relief even quicker with different federal forgiveness programs. Student Loan Help is an arm of NFCC.org where the focus is on giving debt counseling. You can get on the phone with a non-profit certified NFCC counselor who will help you review all your finances and help you develop a personalized debt repayment plan for a small fee. All you need to do is to create a secure financial profile on the website and you will be contacted by a debt counselor. They also write articles that are geared at educating and helping you get back on your feet financially. Boston Student Loan Lawyer was founded by attorney Adam Minsky. Adam founded the first law first that is completely dedicated to assisting student loan borrowers. His firm operates in Massachussets and New York and so if you live in one of these states you could work with him firm personally. He however has a popular blog and has written numerous helpful books that can set you on your way to financial freedom. Less Debt More Wine was started by Liz Stapleton - a self-professed “recovering lawyer” who is now a blogger and freelance writer. By the time she was done with law school in 2011, she was $193,000 in debt. Less Debt More Wine is a chronicle of her journey to paying off the debt (according to her blog, she currently has $20,000 of that paid off PLUS she paid off all her credit card debt). If you are looking for a someone personable to follow and serve as an inspiration as you pay off your debt, her blog is one that should be on your list. Whitney Hansen is the host of the Money Nerd Podcast and founder at WhitneyHansen.com. She wrote about how she paid off $30,000 in debt in 10 months and how she came out of graduate school with no debt. If you are up for no-nonsense advice on how to get your financial life straightened up, hers is definitely a blog to follow. Heather Jarvis is another attorney on our list who has contributed to student debt relief policy for the House Education Committee and in Congress. She has helped with the advancement of the Public Service Loan Forgiveness program which we have written about on the blog. Heather also consults and speaks to organizations about student loan debt. Jay Fleischmann is behind the Student Loan Show - a podcast that gives you “smart ideas for winning the war on student loans”. Jay has a free 6-part Student Loan Success Roadmap mini-course to help you start getting on track with repayment of student loans. He also provides Student Loan Advisory services, student loan lawsuit defense and bankruptcy representation to borrowers in California and New York. Student Loan Lawyer is ran by Vermont and Connecticut-based attorney Joshua R.I. Cohen. Just like Jay and Adam, Josh is also dedicated to using his law firm to “give a voice to those who are taken advantage of by student loan lenders, servicers and debt collectors”. A really interesting post on the Student Loan Lawyer blog is 6 Lies Told By Student Loan Assistance Scammers. Ten expert resources on student loans to help you conquer student debt once and for all so you can live financially free. Are there other resources you have found especially helpful on your student loan repayment journey? Share them in the comments.